Simplify what you have. The less you own, the less distractions you have. When you have many belongings, it is easy to become overwhelmed and not know where to look. That makes it easier to just go buy more which only makes the clutter problem worse. Keep clutter to a minimum. Once you have cleared the clutter, make sure you use the one-in-one-out rule to keep the space clutter-free. If you bring something new in, get rid of something. Fight the tendency to overcommit. When asked to commit to something, ask for some time to think about it. Run it by a spouse or friend to see if they think it is something you have time for and/or something that is worth your commitment. Make lists. Put everything you need to do on a list and prioritize the list. Concentrate on one thing at a time and don’t let the other items on the list distract you. Limit other distractions like phone, computer, etc. so you can concentrate on the task at hand. Get help. Having a partner helping you though your tasks can help you stay focused and accomplish your goals. 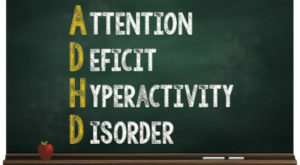 At Practical Solutions, we specialize in helping those with ADHD. Please call (909)307-4862 for a free consultation where we can access your needs and let you know how working with a professional organizer can help you succeed. I don’t think I have ADHD, but I definitely struggle with some of these things, especially the tendancy to overcommit. Thanks for the great tips! Making a list always seems to give my brain a break! Plus it helps me to see it all on paper. Then it is easier to prioritize, delegate, and/or eliminate!